Looking your best helps you feel your best. 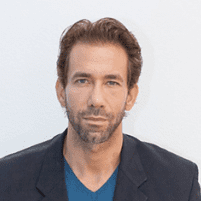 Aesthetic and functional medical expert, Dr. Habib Dalhoumi understands this, and he offers a variety of medically supported aesthetic treatments at Inspire Wellness, with two locations in San Diego – Mission Valley and Hillcrest. Call the office or book an appointment online to learn how you can benefit from non-surgical facelifts, youth-enhancing injections, and more. Consult with Dr. Dalhoumi to discuss your aesthetic goals. He can tailor a treatment plan for you to achieve them naturally and effectively. How do Botox and dermal fillers improve my appearance? Botox and dermal fillers reduce the appearance of fine lines and wrinkles. Dermal fillers can also enhance the appearance of sagging skin and fill in hollowed or thinning areas in your cheeks and lips. Dr. Dalhoumi evaluates your skin and expertly applies the injections to provide a temporary improvement to your appearance. You’ll look younger and revitalized, but natural, with these injectable treatments. To maintain your results, injections will need to be repeated every few months. Dr. Dalhoumi can help set up a treatment schedule for you. You see results immediately as your skin perks up and looks as if you had a facelift. The results continue to be evident as your skin accelerates collagen production in response to the threads’ presence. Collagen is a natural compound that enhances your skin’s texture and firmness. Results from PDO Threading last up to six months. Babyface peel contains lactic or glycolic acid. Dr. Dalhoumi can help you determine if this refreshing treatment is right for you. To learn more about the various aesthetic treatments that can effectively improve your skin’s appearance and health, call one of the Inspire Wellness offices or book an appointment using the online tool. What are microneedling and platelet-rich plasma therapy? Microneedling is an effective way to improve your skin’s tone and texture in a minimally invasive manner. The procedure involves using a device equipped with microneedles on the skin of your face. The needles create tiny puncture wounds that trigger your body’s natural healing process. After microneedling, skin cell turnover increases and your body boosts its production of collagen, elastin, and other healing and strengthening factors to give your skin a renewed look. The tiny holes in your skin also make delivery of anti-aging products, such as creams and serums, more effective. The products penetrate deeper into your dermis, so they more effectively induce healing and an improved complexion. You may combine microneedling with platelet-rich plasma (PRP) therapy for ultimate healing. Platelet-rich plasma concentrates the growth factors that already exist in your blood. A small sample of your blood is drawn from your arm and then spun down in a centrifuge to concentrate the platelets. A skin care expert at Inspire Wellness then applies this platelet-rich plasma after microneedling to nurture your skin and enhance healing.